Player pianos are sometimes known as Pianolas. 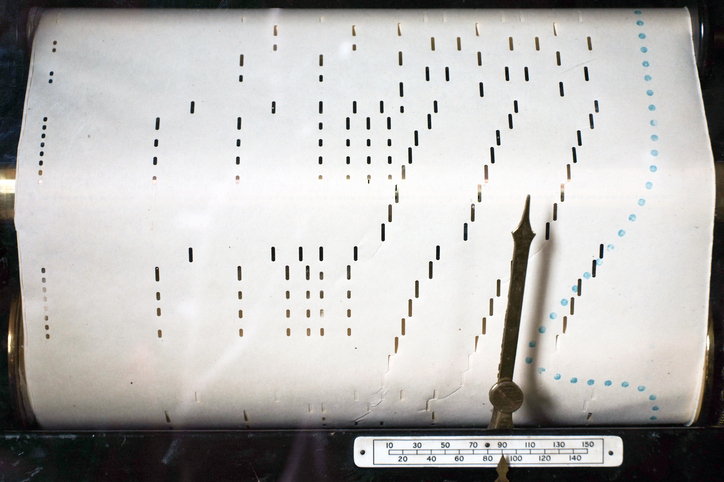 A player piano has a special paper roll that has holes in it. Each hole is a note on the piano. The roll is placed in the top of the piano and the paper moves over a bar and when the hole in the roll lines up with the hole in the bar the note works. Player pianos have the words to the song printed on the roll, so they are great for family sing along! Why did my pianola stop working? There are many Players that have been sitting in aged people’s homes for years without maintenance. Some work to a point however, when you play them for a while they stop working. Why is this? Well, a player uses a flexible canvas around each Pneumatic and there is one for every note. As the piano gets older the rubber inside the special canvas perishes and small holes appear. The canvas gets hard and then small holes appear in each corner of the Pneumatic. 6 in total so then we get 6 pin holes multiplied by 80 notes and that is why you can pedal like mad and the player won’t work. 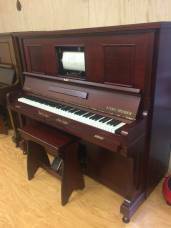 Why are Piano Magic’s Player Pianos the best in Perth? When you buy a Player from Piano Magic the piano has been partially, if not fully reconditioned. It has been fully tested so that we know you will get a good length of time out of it before it needs rebuilding. Rebuilding a pianola is very expensive because we need to break the player parts to recover them. This is very time consuming.